Coach Charles (“Chip”) Kelly asked for control over the Eagles roster, trades and draft picks: owner Jeff Lurie gave it to him. Philadelphia’s sports writers have used the occasion to shake off the atypical friendliness they’ve shown toward Kelly since he was hired two years. They’re back to full-on Philly pessimism, watching every move he makes more closely than The Police. Scribes have picked apart and complained about the big signings and trades earlier this off-season — DeMarco Murray, Ryan Matthews, Byron Maxwell, Sam Bradford for Foles and Kiko Alonso for Shady (though national reporters all consider that last trade shrewd). Chip spent too much money for players who’ve had lots of injuries, they say, and he left big holes at wide receiver and safety. All of which is probably true. First the Birds signed Miles Austin, a major bust at wide receiver for Dallas after he signed a seven year, $54 milllion contract in 2010. 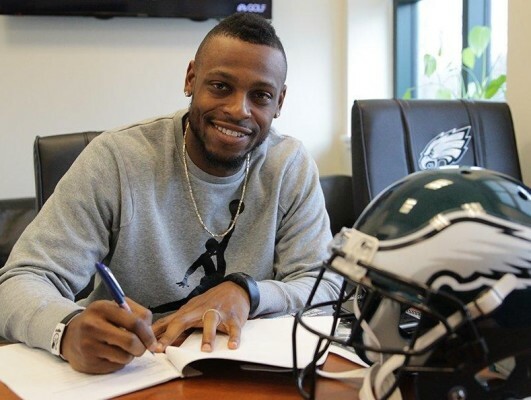 Philadelphia will pay him $2.3 million on a one-year deal, which doesn’t seem THAT outrageous for a 6-foot-2, 215-pound receiver who piled up 548 yards in 12 games last year. The fun part is that Dallas is allotting $5.1 million of its salary cap this year to Austin — the 7th most on their team. He has had a problem with hamstring pulls earlier in his career but claims to have solved that, even without Philadelphia’s famed sports science. Last year, though, he missed four games due to a lacerated kidney after a hard hit. The other two new players are Seyi Ajirotutu and E.J. Biggers. Biggers plays both cornerback and safety; unfortunately, he is flexibly bad at both. Presumably new defensive backs coach Cory Undlin — who is highly regarded — sees something he can work with. Washington fans are laughing like he was Patrick Chung or Bradley Fletcher. Then again, Chung signed with the Patriots after the Eagles let him go, and won a Super Bowl ring as their starting safety. So hopefully Biggers IS like him, in that way at least. Ajirotutu is much more of a sure thing. He’s nominally a wide receiver — catching nearly five passes a year! — but his real impact is on special teams. 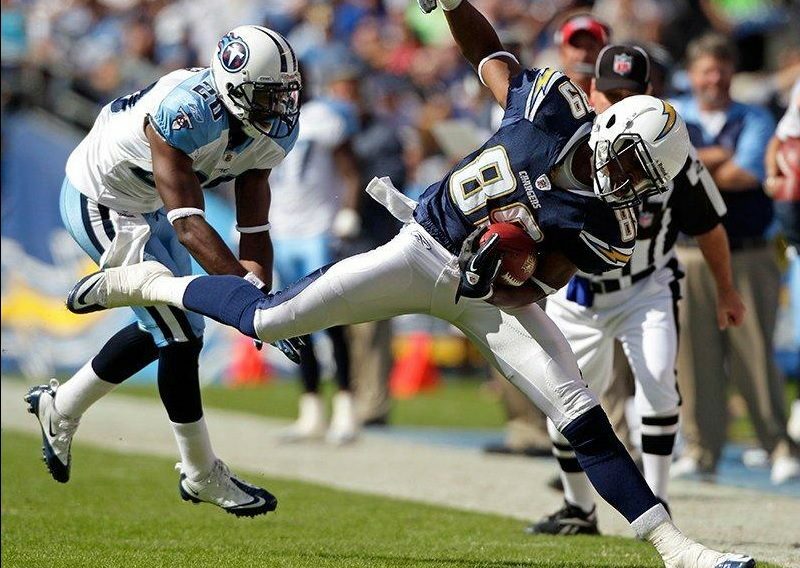 Last year he was the Chargers’ best ST player with 12 tackles, tied for ninth in the NFL. Seyi is also a close friend of new RB Ryan “One-T” Mathews. They were college roommates and played together both at Fresno State and San Diego. Now that he’s GM, Kelly is acquiring far too many players who’ve been friends or teammates or both for it to be a coincidence. There are two obvious reasons. First, Chip is a huge believer in team bonding, and pairs like Mathews and Ajirotutu, or Sam Bradford and DeMarco Murray (teammates at Oklahoma), or Murray and Austin (Dallas teammates) offer a ready-made chemistry for a team that has seen a lot of change. Kelly is also methodical about getting any bit of information he can about potential players, from attending Pro Days to asking coaching buddies and cafeteria workers what the guy is like. Teammates see a side of players that even their coaches miss, and that scouts only dream of. I guarantee you that Kelly asks his new players about any undervalued former teammates that the Eagles should try to get, as well as any other intelligence he can glean. In fact, I wonder if he might over-value this information. It’s hard to understand the Ed Reynolds draft pick last year without thinking that Zach Ertz, his teammate at Stanford, put in a strong endorsement. Maybe Ertz didn’t want to tell the harsh truth about a buddy, or doesn’t have a good eye for what college players need to jump to the pro level, but Reynolds was a major bust, unable to make the roster on a team desperate for safeties. The other news this week was LeSean McCoy continuing to trash Chip Kelly, after reporter Jeff McLane of the Philadelphia Inquirer flew up to Buffalo to ask him to finish his earlier thoughts. It was not a classy move, nor especially coherent, from referring to teammates such as Brent Celek as second rate to calling Foles “a star.” He actually criticized Kelly for not criticizing his (Shady’s) playing style. I like to think that’s a sly Mitch Hedberg reference. It certainly confirms other reports that McCoy was unhappy about practicing on Saturdays, or about Kelly insisting on white instead of black socks (to build teamwork by having uniformity). I think this is half true. Not the ego part — I can verify that Kelly does not like reporters talking about him. But he definitely prefers a team to individual stars, for a lot of reasons. Dependence on a star leaves you vulnerable to injury. And diva attitudes undercut the all-important team bond. That’s why Chip is much happier with two star running backs (plus “Swiss Army Knife” Darren Sproles) instead of McCoy — on top of getting a great inside linebacker in Kiko Alonso as part of the deal. Second year WR Jordan “Two-Ts” Matthews understands. Zach Berman of the Inquirer asked him if he could be the Eagles’ No. 1 receiver this year. Matthews rejected the very notion, because that’s not what wins. 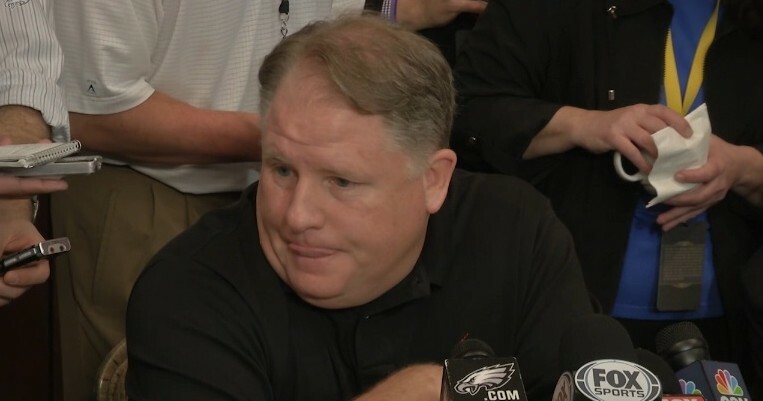 And that’s what Chip Kelly’s talking about.